Dr. Montessori devoted her life to the teaching and understanding children. This remarkable work is one of the greatest guides and insights in children's way of thinking for all teachers and parents. 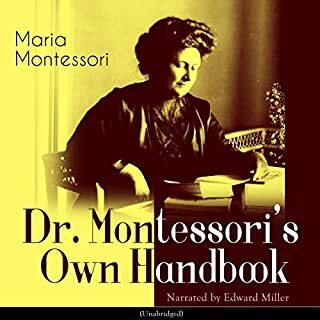 Maria Montessori brought new life to the field in the late 19th and early 20th century. In her own words: "If we give children 'the means of existence', the struggle for it disappears, and a vigorous expansion of life takes its place." Why is the reader a man? 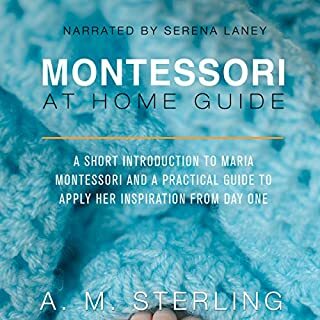 Montessori: A Modern Approach has been called the single best book for anyone - educator, childcare professional, and especially parent - seeking answers to the questions: What is the Montessori method? Are its revolutionary ideas about early childhood education relevant to today's world? 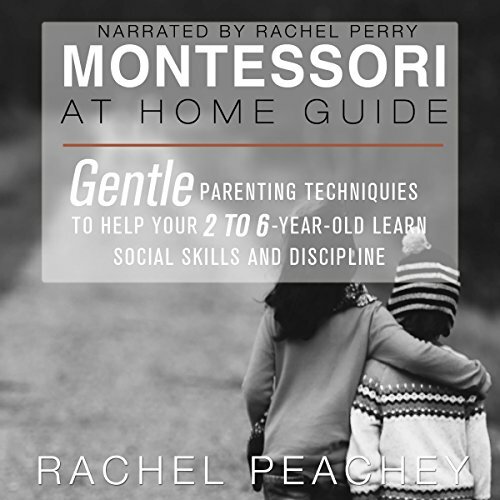 And most important, especially for today's dual-career couples, Is a Montessori education right for my child? 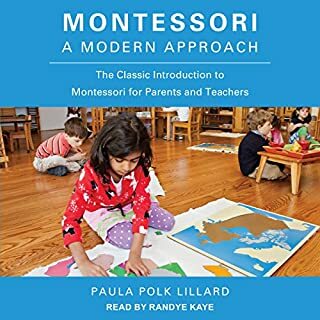 Paula Lillard, director of a Montessori school ranging in age from 18 months to 15 years, provides a clear and cogent introduction to the Montessori program for the elementary and later years. 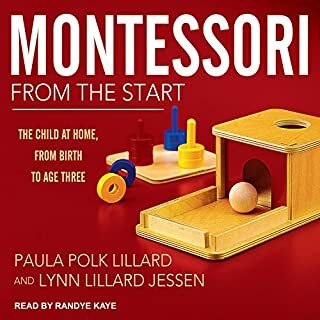 In detailed accounts, Lillard shows how children acquire the skills to answer their own questions, learn to manage freedom with responsibility, and maintain a high level of intellectual stimulation by using the Montessori method. 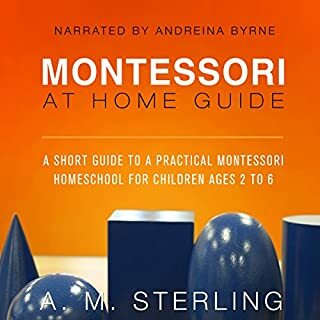 This is an essential handbook for parents and teachers who have chosen the Montessori alternative for the older child. 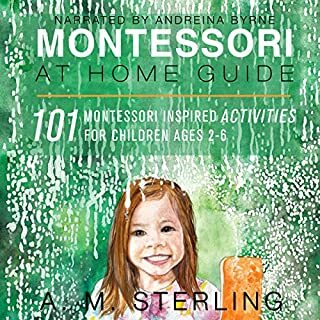 This book included several practical examples of how to model / teach children within the Montessori framework. As the mother of a two-year-old, some of the examples were a bit advanced, but will be useful as we move forward. For me, the best chapter was toward the end when it spoke of difficult topics. That is information I had not encountered before. The narration was tough. I had to increase the speed to 1.2x because I found it so slow. And that made it sound kind of robotic, but I think it was the best alternative. Loved it! This narrator is my favorit! Thank you for giving me the opurtinity to read this book.